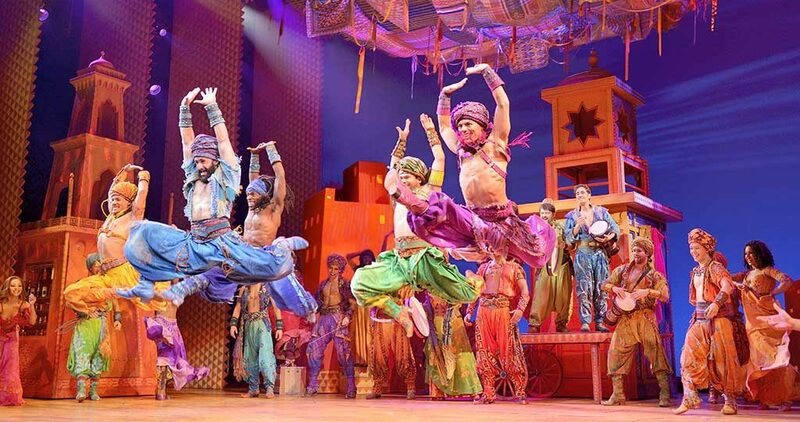 See Aladdin at The Fabulous Fox Theatre in St. Louis November 7 – 25, 2018! The show is directed and choreographed by Tony Award-winner Casey Nicholaw (The Book of Mormon, Something Rotten! ), with new music by Tony® and Academy Award® winner Alan Menken (Newsies). 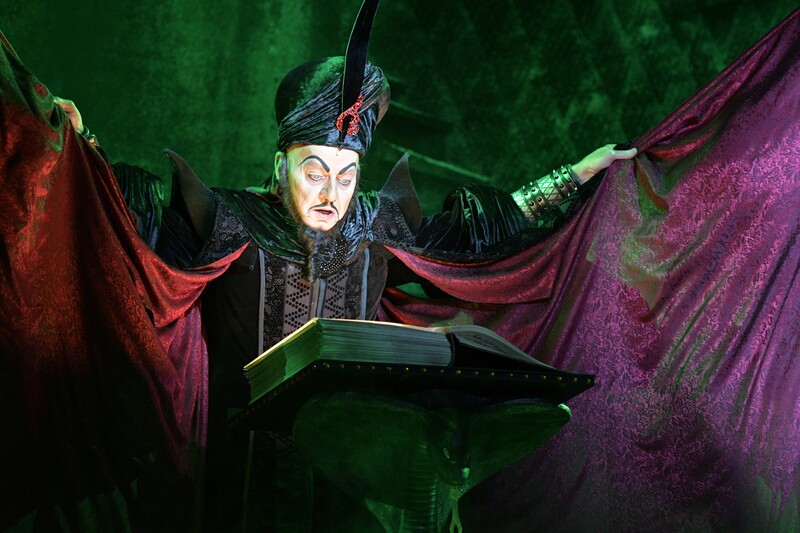 Jonathan Weir plays the evil villain, Jafar, in the show. He and the cast of Aladdin have been out on tour for over a year. They left Chicago after it opened there (where it ran around five months), then started out on tour last September. The actor grew up in Bellville, IL and East St. Louis. He is the youngest of 10 kids, born to a big Irish-Catholic family. 7 of his 10 siblings live in St. Louis today. He and his wife moved to Chicago in the late ’80s and have been living there ever since. Jonathan says that college was the first time he thought, “Oh, I could make a living doing this!” He has been a professional actor for over thirty years now, making a living doing what he loves. This is not Jonathan’s first Disney production. He was a standby for both Scar and Pumba on the second national tour of The Lion King. He says that the make-up and costume for Jafar and Scar are about as equally intense. Jonathan says, of course, he has been a fan of Disney over the years. Speaking of Disney, they’ve been able to capture not only animation but also live-action films with their remakes and of course, Broadway with the live shows. The actor says for young adults, especially those in their thirties, this was their movie growing up. Although he is playing the villain of the show this time, Jonathan has played a wide variety of roles in his thirty-plus year career. To prepare for the show every night, Jonathan is already very familiar with the character. But he still has exercises he goes through. It’s hard to choose, but Jonathan was able to list one of his favorite parts of the performance each evening. Another favorite moment is getting to see the faces in the audience light up with joy while watching the show. Tickets are available now for Aladdin, playing November 7 – 25 at The Fabulous Fox Theatre in St. Louis. To purchase tickets, visit MetroTix.com. For more information, visit FabulousFox.com or the official tour website at aladdinthemusical.com.